Summer and strawberries is linked together. In Denmark we grow up with strawberries with whipping cream on as a dessert. A simple dish that any dane knows. If you have a garden full of strawberries, there are often so many strawberries at the same time that you simply can not eat them. 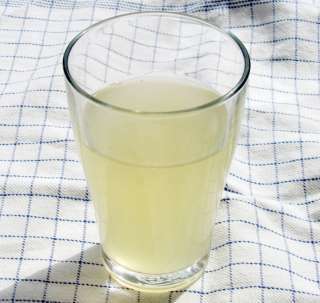 Then it's good to know the recipe for strawberry juice that can be stored for later or just for drinking when it's hot. These are harder to pronounce than to make. 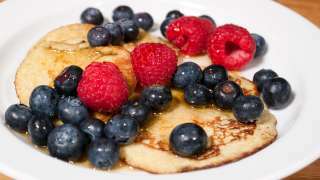 Probably the most simple pancake recipe in the world. You only need 2 ingredients, and there is no compromise on flavor. 15 minutes and you got a big stack of pancakes for breakfast. 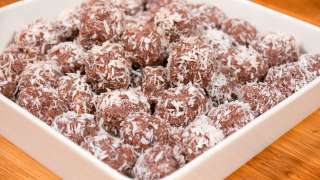 Recipe with video - Easy to make. Few ingredients. No added sugar. The only mistake is that they don't last long once made. And it is not because they get old enough to turn bad. A cold creamy sauce of fresh berries. A good side dish for ice cream, cakes and fruits. 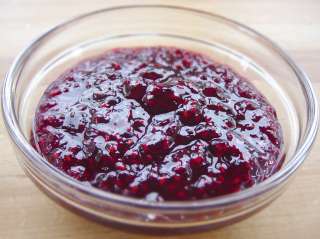 It is not cooked unlike a jam, so it retains its fresh taste. Video Recipe - A classic French cake / dessert. 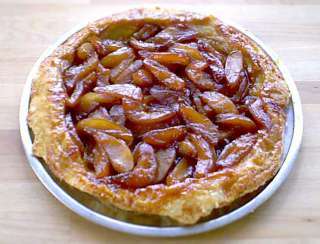 Caramelised apples and puff pastry is a terrific combination. If you already have the puff pastry lying around, it is also very quick to make. 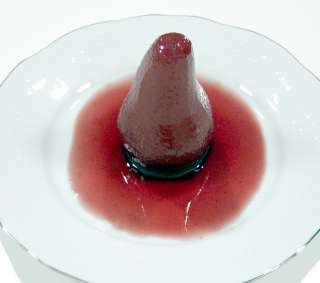 Can also be made with pears. Video recipe - Raspberry and strawberry jams are made the same way. You can actually use almost any kind of fruit in this "pound for pound" recipe. One pound of sugar to one pound of berries/fruit. Then you just have to cook them to the right consistency. There are, however, a few tip that it is noce to know about. An English classic. A tangy lemon cream can be used as an accessory, as a spread and as cake filling. Lamb kleftiko - "Braised Leg of Lamb"
Lamb kleftiko (lamb kleptomaniac) Is an ancient Greek dish. It is usually the one we think of as "roast leg of lamb." Rumor has it that it was made by thieving greek bandits by digging a stolen lamb into a hole in the ground filled with red-hot stones. 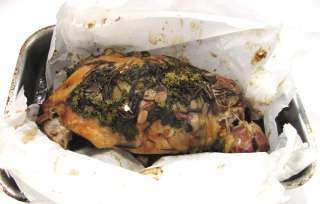 The lamb was then covered up and they could pick up the roasted meat day. The owner of the lamb would not be able to smell it cooking due to the burial, and you the thieves would get away with it. 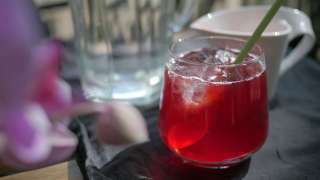 Recipe with video - Once in a while I felt the urge to make my own sodapop. I especially wanted to eksperiment with unusual flavours. Or try to make my own cola, using one of the recipes that are online. But that sodamachine has always stopped me. I simply don't drint enough fizzy drinks to buy one of those. But then I found a very simple recipe where yeast is used to make the fizzle. Like beer and champagne. I got them once somewhere in France I think. It was before the Internet and I did not have the recipe. But I liked them so much that I made a similar recipe. I usually only eat them in the fall when pears are in season. And a little cinnamon and cloves reminds me that Christmas will soon be upon us.